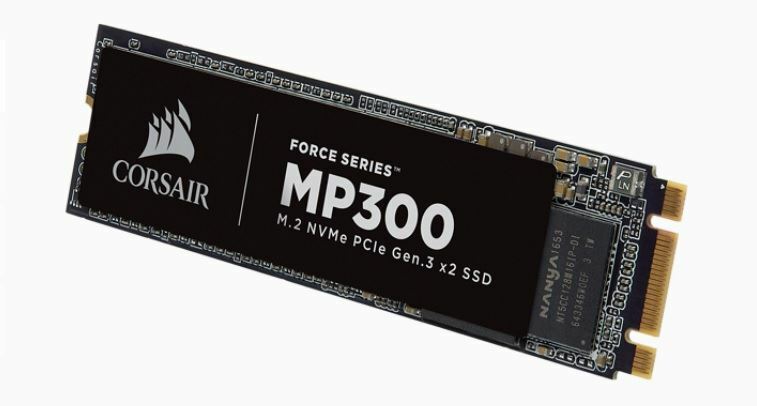 Early on in Computex, Corsair unveiled the new Corsair Force MP300 NVMe 1.3 TB M.2 SSD. Corsair announced the drive during our flight over, so we learned about it at the company's booth where the drive was prominently on display. The Corsair website shows the price ranging from just $49 (120GB) to $320 (960GB). The drive is up to 3x faster than SATA and designed to help users transition away from the antiquated serial bus that was built for slower media. Specifications for the 3D TLC NAND drives (960GB) are 1600 MB/s sequential read and 1080 MBs sequential writes with IOPS coming in at 240K and 210K respectively. While these are not the fastest NVMe based drives on the market, on paper they are notably faster than the SATA counterparts. Yet Corsair's approach to the entry-level SSD market comes at a bad time, with pricing pressure coming from all directions. High-quality SATA SSDs like the Samsung 860 EVO 1TB just hit $250 (and even $150 for a few hours) and mainstream NVMe drives like the Adata SX8200 960GB sell for just $350. Corsair will have a difficult time getting this ship off the ground with current pricing for all but the 120GB model, which sells for dinner money at less than $50. At that price, it's hard not to consider the MP300 for a secondary drive used to ease the load on your primary storage by keeping cold data like movies, music, and even games on the MP300. Corsair backs the new MP300 with a 5-year warranty, the same as the mainstream NVMe MP500. 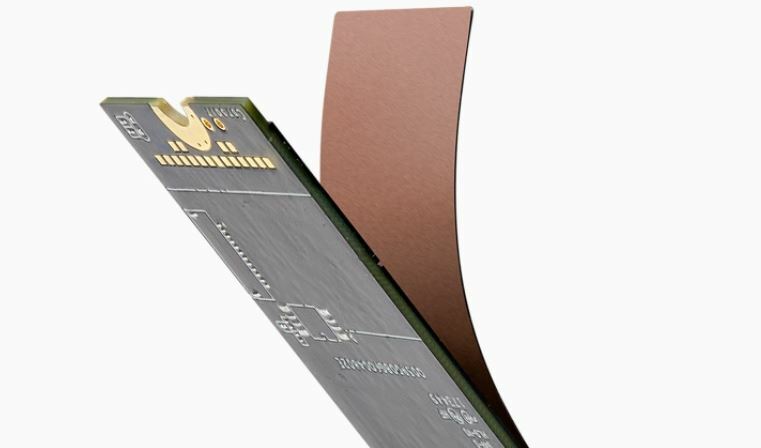 The new series also comes with support for Corsair's SSD Toolbox software and features a copper sticker that spreads the controller heat to aid in keeping the drive cool under intensive workloads. The drive is available now in all capacities at the Corsair website. More information from Computex can be found below. Chris Ramsayer contributed to this report.